Wimbledon Ballot, 28 April at 1pm at the Club. You'll need to be opted in (deadline was 22 February 2019) and have RLTC as a chosen venue. Don't forget to collect your shoe tag on the day. 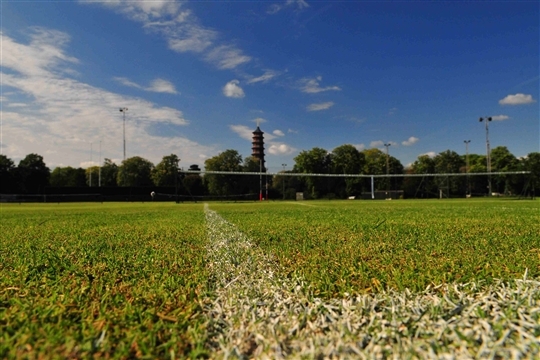 Richmond Lawn Tennis Club, a friendly, sociable club, offers tennis at all levels for all ages. This includes competitive team tennis, Club tournaments, box leagues, social tennis and beginners’ and improvers’ classes for less experienced players. We have a large number of junior and family members. You'll find us in central Richmond in the historic Old Deer Park at 187 Kew Road, TW9 2AZ next to Kew Gardens and the London Welsh Amateur Rugby Ground. We are a 5 minute walk from Richmond train/tube station and town centre and we have a large free car park. Want to play tennis? We are looking for new members of all ages and levels of experience. Whether you would like to play tennis for one of our teams or have never played before and want to learn a new sport, we would love to hear from you. Select your preferred available time and book. Register online the first time you book.